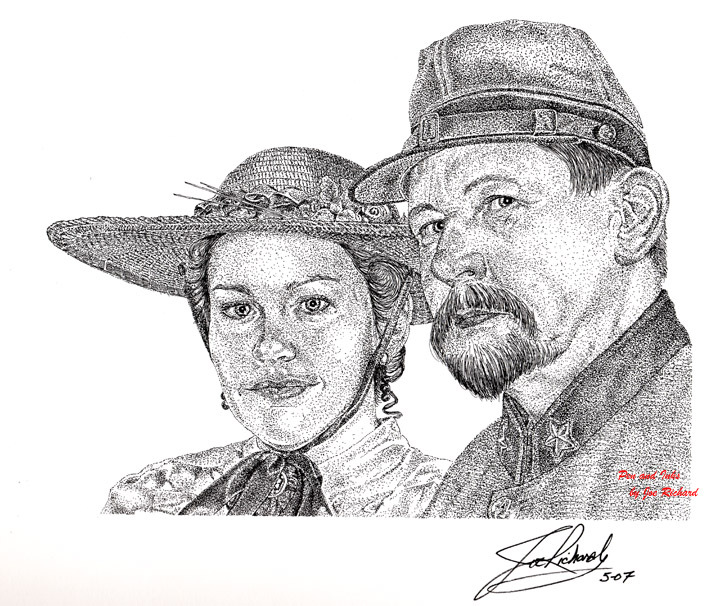 "Major Dearing and the Lady"
"Major Dearing and the Lady" was commissioned as a part of a series of pen and ink drawings. 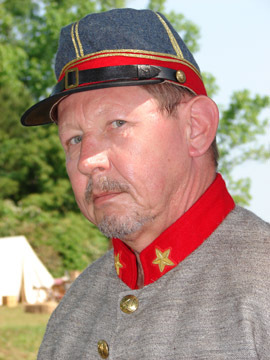 The series consists of three separate drawings of the subject in period Civil War costume as well as current military uniform. This pen and ink is a rendering the second in a series of images taken by this artist at a living history event in Jackson Crossroads, Louisiana earlier this year. This study in pen and ink techniques was completed in May 2007. Extensive use of stippling effects combined with some line art was used to create a dramatic finished portrait of "Major Dearing". The work took 13 hours to complete and measures about 8 1/2 x 11 inches on an 11 x 14 background. 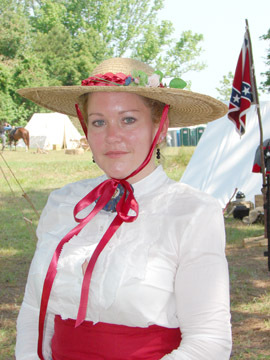 artist on April 29, 2007.